Shahama probably has quite a story to tell. Skinny, deaf, and partially blind he was found walking along a local highway. After rescue — and loving foster care — he is feeling good and ready for a home that can continue to provide the gentle, low-key environment he deserves. Shahama can be a bit nervous (and needs to be the only animal in the home), but once he comfortable, he’ll settle into your lap for a long cuddle. 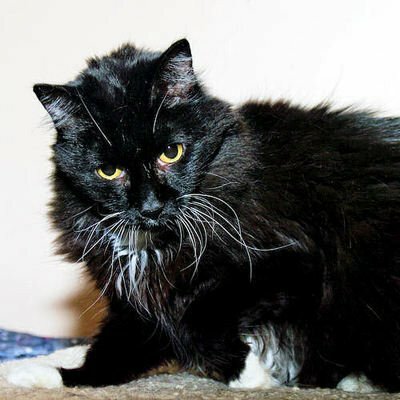 Shahama is available for adoption through Community Cat, Inc. in Whitewater, WI.